January 30, 2015  The movie, one of five Academy Award nominees for best foreign language film this year, is about radical Islamists occupying the city in Mali. Remarkably, it's often on the verge of being a comedy. January 16, 2015  The movie is based on neuroscientist Lisa Genova's novel about a linguistics professor with early-onset Alzheimer's disease. While Moore is fascinating, the rest of the characters are half-formed. The 'Selma' Criticism For How It Portrays Lyndon B. Johnson: Is It Fair? January 9, 2015  The film about Martin Luther King's marches for voting rights is being accused of alleged historical inaccuracies. Critic David Edelstein says that's "not entirely" fair, and it's still a great movie. December 24, 2014  Film critic David Edelstein says in 2014 none of the great material came from Hollywood studios. But, he says, it was a "wonderful year" for indie films. 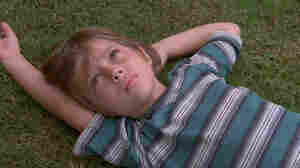 He names Boyhood as the best of the year. December 19, 2014  The biopic of landscape painter J. M. W. Turner depicts a man whose mind is barely engaged by anything other than his work. He's a mystery, and his art is magically indefinite — just like the movie. December 12, 2014  The film, based on Thomas Pynchon's novel, is set in 1970 in a beach town south of Los Angeles. With wonderful actors, it's like a gorgeous stoner art object: groovy, campy, dreamlike and funny. December 5, 2014  In the Australian chiller, a bogeyman announces himself in a rhyming, pop-up book on a 7-year-old's shelf. But the real horror is that the boy's mom, a grieving widow, is battling psychic demons. 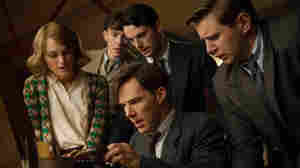 November 25, 2014  Cumberbatch stars as British mathematician and World War II code breaker Alan Turing in a film directed by Morten Tyldum and co-staring Keira Knightley as Turing's comrade in arms. November 14, 2014  The film is based on du Pont's fraught relationship with two Olympic wrestlers. Wealth isn't enough — his identity hinges on winning. It's a fascinating case study, but as drama, it's one sick joke. November 5, 2014  Christopher Nolan's film stars Matthew McConaughey as an astronaut who takes his ship through a wormhole to another galaxy to find a home for earth's inhabitants. It's cool, awe-inspiring and goofy. October 24, 2014  Laura Poitras' new film isn't artfully shaped like her other documentaries. But she captures scenes as history is being made — and it will make you look both ways when you're on the street. October 17, 2014  The choreography by Alejandro Iñárritu, who directed 21 Grams and Babel, will wow you. But the story about a washed-up actor about to bring off his Broadway debut is an "empty masterwork." October 10, 2014  Director Damien Chazelle's second film centers on the agony of a drummer in a high-powered music school. The movie ties you into knots: The fear of failure is omnipresent. So is the jazz vibe. October 3, 2014  Based on a screenplay by author Gillian Flynn, the movie is sensationally effective. It's made like a classic noir — evenly paced, with an elegance that in context is deeply perverse. September 26, 2014  The film is based on a true story about the '80s strike Margaret Thatcher vowed to break. It's full of the Britain's best actors, and nearly every line makes you cackle or puts a lump in your throat.